Some practice on the present simple for beginner students. 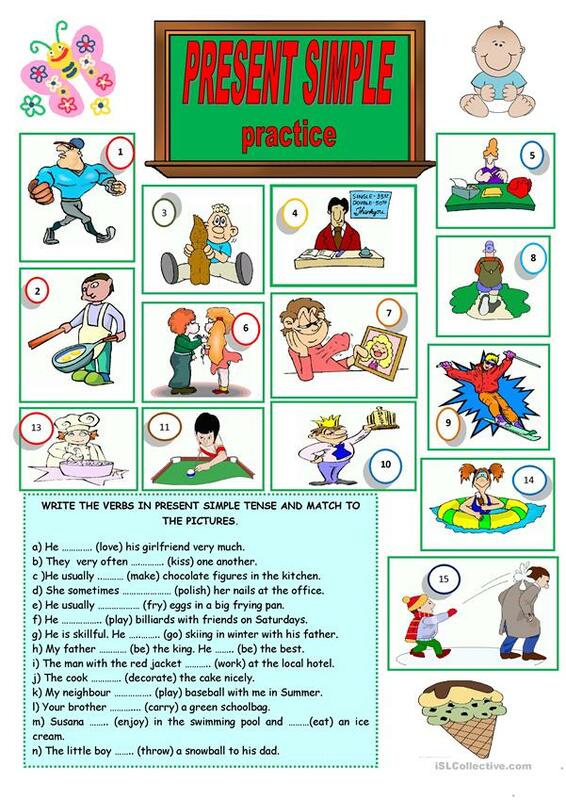 The present downloadable printable is meant for elementary school students at Elementary (A1) level. It is great for practising Present simple tense in English, and can be used for enhancing your students' Writing skills.